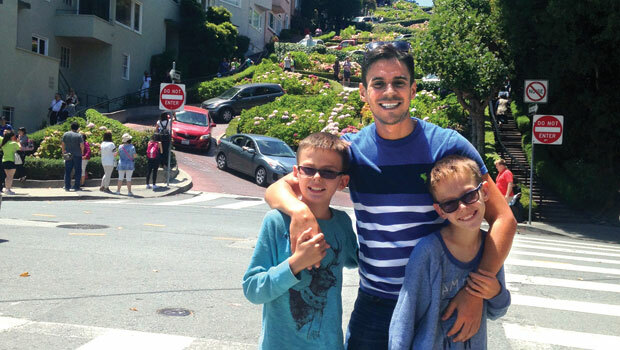 Luis S. from Brazil is an au pair in California, USA. Five- to seven-year-olds like active play. They may even be reckless. Seven-year-olds like to work more with their hands and their fine motor skills. Six- and seven-year-olds like to attempt new and more difficult activities. Six- and seven-year-olds like to play separately from younger children. Encourage the development of large-muscle physical coordination through active games, dancing, and other opportunities for moving the body. Five- to seven-year-olds can, with plenty of help, learn to ride a bicycle. Children this age can develop their fine motor coordination by drawing, cutting, and working on puzzles and other games with small pieces. They should be able to use a knife and fork to feed themselves. As older children begin to play with more complicated toys, make sure they keep small pieces away from babies and toddlers. Early school-age children are natural scientists and like to experiment, so make sure they don’t get into household chemicals or any other dangerous materials. Eight- to ten-year-olds like to challenge their physical coordination and skills. Eight- to ten-year-olds are proud of their abilities. Provide extra opportunities, like local playgrounds and athletic facilities, for the eight- to ten-year-old in your house to use their physical skills. Children this age have incredible energy, and they need to use it. They have larger appetites than younger children, and often grow in “spurts”: periods of rapid growth followed by slower growth. During these growth spurts, they may have “growing pains,” where their legs ache, especially after physical activity - this is normal. If the child is frequently in pain, however, tell your host parents. Preteens like to develop their strength and stamina. Preteens like to show their mastery of sports or other physical activities. Preteens enjoy hobbies that allow them to use their excellent fine motor coordination. Preteens may become physically awkward as their bodies begin to grow more quickly - this is normal. As they approach adolescence, children’s sleep patterns will change. At this age, girls frequently grow taller than boys, but this difference will disappear as they become teenagers. School-age children look forward to eating. Children’s appetites increase around the ages of five to six, and then again at eight to ten years of age. They may have strong preferences for certain foods. School-age children are more self-sufficient than their younger siblings, and can help themselves to food and prepare their own snacks. Make sure appropriate foods are accessible to them, and that clean-up rules are clear. School-age children can take a greater role in helping you select and prepare foods. They may ask for more food than they can actually eat. As they become old enough to prepare their own snacks, you should make sure that the school-age children in your care do not eat too much junk food. 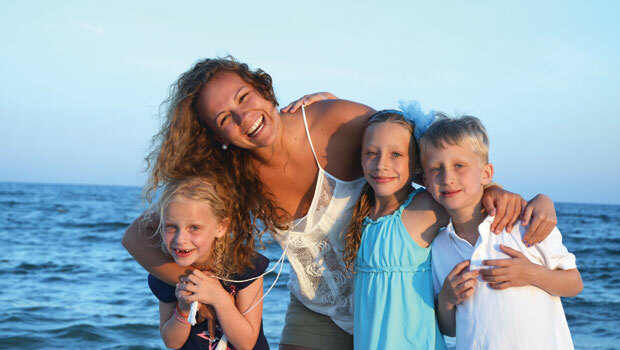 Marion A. from Austria is an au pair in Georgia, USA. Five-year-olds like to stay near home and to stay near adults. Five-year-olds like to do things for adults and like to obey adult commands. Five- and six-year-olds like to take risks. Five- to seven-year-olds like to collect things. Five-year-olds like to play with one or two other children at a time. Six-year-olds like things done their way. Six-year-olds like to be the center of their world. Six-year-olds like to assert social independence away from the family and build relationships with people outside the family. Six-year-olds want to make friends their own age. Six- and seven-year-olds enjoy team games and board games. Seven-year-olds like to spend some time alone. Though children of this age enjoy building and maintaining friendships, six- and seven-year-olds can be inflexible and negative with their peers, and may be very critical of themselves and of other children. They are likely to have a best friend, even excluding other children besides this special friend, and may even have an enemy. They can get very upset when they lose a game, because they are not emotionally ready for competition, and have a hard time accepting criticism and punishment. Children this age are frequently perfectionists; they want to do everything just right. Help children to express their feelings with language, so that they can use words to describe their intense emotions. Praise good behavior: This will encourage correct behavior and build self-esteem. Group peer pressure becomes an issue, as children judge each other very harshly. As an au pair, you can help by monitoring play carefully and helping with conflicts or arguments. Discourage criticism of other children. Children this age can be very demanding and show extreme emotions toward their adult caretakers. They may seem arrogant and resentful - these behaviors are normal. Seven-year-olds often demand too much of themselves, and can get frustrated easily. They may complain that no one likes them, or that others are picking on them, and may otherwise seem dissatisfied or unhappy. Early school-age children see the world in extremes - things are usually wonderful or terrible, with little in between. By this age, children will want privacy in the bathroom and while changing clothes. Gender differences become more developed: Boys frequently prefer playing with boys, and girls with girls, but you should still encourage children to have friends of both genders. Eight- to ten-year-olds like to rely on peers, rather than adults, for companionship. Eight- to ten-year-olds like to question adult authority. Eight- to ten-year-olds like team play. Eight- to ten-year-olds like to decide the rules for their games. Eight- to ten-year-olds like to keep secrets with their peers. Eight- to ten-year-olds like to outwit adults. Eight- to ten-year-olds like to be self-reliant. Eight- to ten-year-olds like to please and to impress their peers. Eight- to ten-year-olds like to spend time away from younger children. Eight- to ten-year-olds like to socialize away from adults. Give the eight- to ten-year-olds in your care some space. They still need supervision, but they want to feel independent from the adults in their life. Don’t be fooled by their apparent maturity: They really do still want you around, and may get bored and lonely if left to themselves. Provide opportunities for them to work, play, and socialize away from the younger children in the family, but let them know that they are still a part of it. Older children are responsible enough to help with their younger siblings and with household chores, but they still need free time for play. Eight- to ten-year-olds can be very anxious. Their peer relationships are very important to them, and they want to look cool in front of their friends. They often take things very seriously. For the first time in their lives, children this age begin to learn that adults are not, in fact, perfectly wise. This may lead them to argue with authority figures and to defy adult caretakers. Eight- to ten-year-olds love rules and rituals - they will create games with complicated directions, and may have secret codes and passwords with friends. By now, they may be very involved in a specialized hobby: building model airplanes, for example, or studying insects. Preteens may not want anything to do with you. They think that they are too old for a babysitter or any kind of direct adult supervision. They may try to be your friend, because you are so close to them in age, and may confide in you when they do not feel comfortable talking to their parents. Avoid keeping secrets from your host parents. Encourage your family’s preteen to share their feelings and ideas with their parents. If you know that an older child in the house is breaking a house rule by smoking cigarettes, for example, you need to let your host parents know. Remember that you are not there to be a friend; you are a child care professional. You can make the afternoon transition from school to home relaxing and pleasant for the school-aged children in your house. Encourage them to talk about their day at school. They might be upset or angry about something that happened, or they could be excited about and proud of something they did. Let them know that you are interested in their life and that you care about what happened. Have a snack ready soon after they come home; they haven’t eaten in several hours and will probably be hungry. Be sympathetic to their problems. It’s easy for us adults to forget how stressful school can be for young children. Friendships form and dissolve very quickly, and children face a lot of social pressure. Your kind understanding and listening are very important! Help children plan their afternoon activities: play, outside time, and homework. Homework is often the worst part of a child’s day. It can be a real source of stress for both the child and the caretaker, who often has to wage a battle to get the child to do his homework. Find out from your host parents what the house rules are regarding homework: Does it have to be done as soon as the children get home? Does it come before television? The following tips will help make homework time more pleasant for everyone in the house. Provide a quiet, uncluttered place for the child to do their homework, away from younger siblings, television, and other distractions. Set up a homework schedule with the child, so that they know when it is time to sit down and work. This will help to avoid conflict over homework time. Don’t do homework for the child: They have to do the work themselves, or else they won’t learn. You can help children study for tests, however, and review material. This will really support their learning. If you don’t understand the homework yourself, or if it is a difficult subject for you, tell the child to talk to their parents or teacher. Fix the child a snack to eat as they work. If the child seems “stuck,” or complains that she can’t complete an assignment, let the child take a ten-minute break before trying again. Find out what homework system works best for the child: hard subjects first, or easiest? If the child continues to have a lot of trouble with her homework and you don’t know how to help her, talk to your host family about getting a tutor. Encourage children and boost their self-confidence: They can do their homework! Siblings compete with each other for just about everything: for toys, for attention, and sometimes for things so small and unimportant it’s hard to understand why they’re fighting. Brothers and sisters may drive you crazy with constant arguing: They make fun of each other and can’t seem to stop criticizing each other. This behavior is all very normal. Encourage siblings to solve their problems independently, but if the conflict continues, you will need to intervene, especially if the conflict becomes violent. If you have to mediate, or solve a conflict for the children, give each of them a chance to say what is upsetting them. Restate what each child says, to make sure you understand the problem. Do your best to be impartial, and create a fair solution. Frequently, the solution is to separate the arguing siblings and to give them some alone time. This will help them to calm down. By giving each child plenty of individual attention and special time with you, you can minimize sibling rivalry.